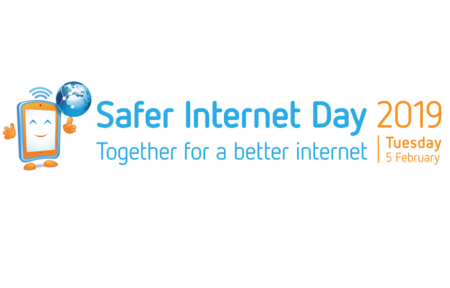 February 5 2019 is Safer Internet Day. Building on the leagues’ responsibility to keep its members safe in the lead up to The National Day of Action against Bullying and Violence (NDA) on Friday 15 March 2019, The South Metro Junior Football League (SMJFL) is pleased to offer this parental spotlight on addressing cyberbullying. Not all hurtful behaviour is bullying and it’s helpful to understand the differences. Having a shared understanding of what bullying is and what it’s not within families, schools and the wider community helps having conversations, as well as prevention and intervention practices and programs. Having a conversation with your child about cyberbullying can be challenging; adults have coined the term and young people tend to use words like “drama” to refer to unpleasant online experiences. Additionally, Australian researchers found that 90% of cyberbullying victims will actively avoid talking to an adult about their experience; either out of fear of reprisal or uncertainty about the identity of the bully (14). Therefore, parents need to be aware of any changes in their child’s behaviour that could indicate that they’ve been cyberbullied. The Office of the eSafety Commissioner provides examples of these behaviour changes together with guidance about how to report cyberbullying material to the social media platforms where it’s happening or if that is unsuccessful to the Office of eSafety. What are some of the ways people about your age tease each other online? What social media services can be used to do this? How can you tell if you’ve hurt someone’s feelings without meaning to? Is it easier to be hurtful towards others online than in person? Have you been in an online or offline situation where your message was misunderstood? Describe the situation and how you dealt with it. Do you have a clear idea of what bullying ears and what it isn’t? How is it different from being rude or mean? How concerned are you that your child could be cyberbullied? Have you ever thought your child could be the aggressor rather than the target? How would you know? What steps would you take if your child told you they were being bullied online? Parents wanting more advice on addressing cyberbullying, cybersafety, internet, social media or gaming addiction amongst kids will find an excellent resource in “The Parents Survival Guide To Children, Technology & The Internet”. This book is available at https://www.parentssurvivalguide.net/ and is offered to SMJFL members with $5 off from 5th to 8th February 2019 by using the code SIDSOUTHS.